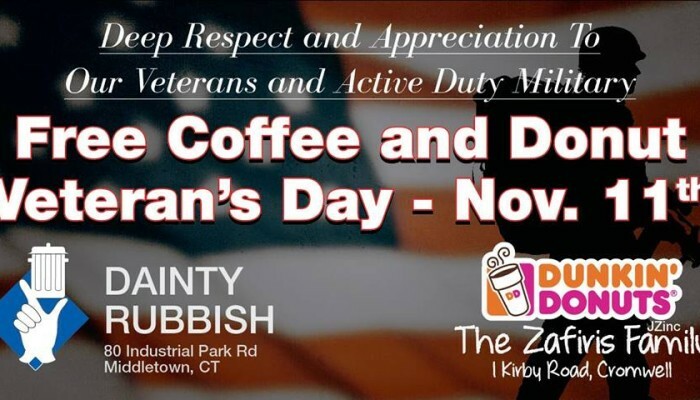 Middletown, CT November 11, 2016 – To honor our Veterans and Active Duty Military, Fred Smyth the Operations Manager of Dainty Rubbish at the direction of Michael Armetta President of Dainty Rubbish, partnered with the Zafiris Family who own Dunkin Donuts located at 1 Kirby Road Cromwell CT to provide a Free Coffee & Donut on Veterans Day. 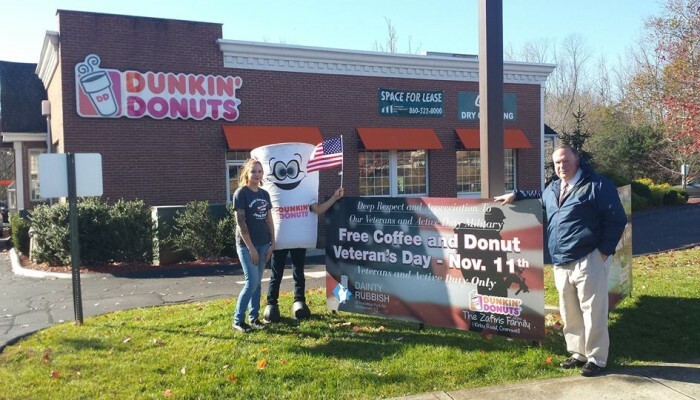 The event was such a resounding success that there are plans to make this an annual event! 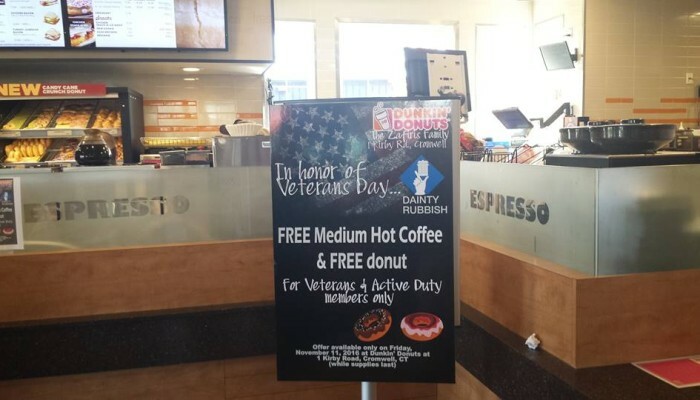 We want to thank all the Veterans and Active Duty for all their sacrifices protecting the freedom we enjoy. 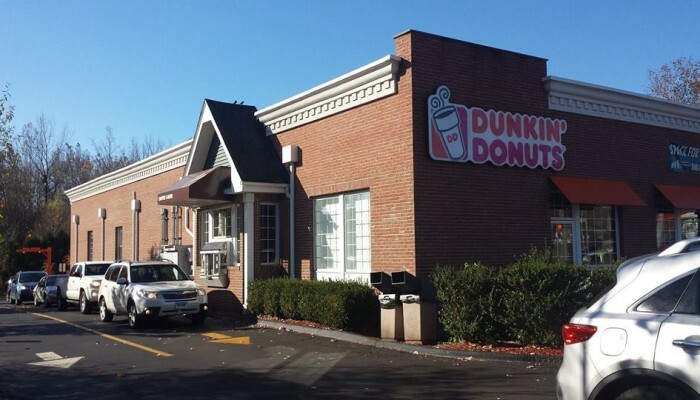 We also want to thank Dan Litwin, President of FASTSIGNS of Middletown for his great work on all the signs.